How long should a Hong Kong Employment Visa Application take to finalize – especially in light of the 4 weeks cited on the Hong Kong Immigration Department website? My working visa application is now almost into its 7th week (49 days and counting). There were documents that immigration requested from my sponsor which may have delayed things a bit. Day 1 – was personal filing of my employment visa application in Wanchai. Day 28 – request of ImmD for certain documents from my sponsoring employer. Day 31 – my sponsoring company faxed the required documents to immigration. It is now almost 50 days and my application is still in progress. (A) Is the online enquiry actually updated daily or is it true that there will not be updates on Sunday and Monday because it would be results from the weekend. (B) I visited immigration and asked if I could get more detailed information. He said someone would call me but nothing yet. How can I get the case Officer’s information if at all possible. Even though the Immigration Department put out the missive on their website that the normal processing time for a Hong Kong Employment Visa is 4 weeks, in actual fact about 4 weeks starts counting from the time that they have all the information that they need on hand to give due consideration to the application in full. So, what that effectively means is that the four weeks is commonly cited as being the typical processing time. It’s actually more like six to eight weeks. So given that you’re in your fiftieth day now, frankly, you’re well within the envelope of a normal case processing time so I wouldn’t be concerned about it too much. Particularly given that you know it took them effectively for weeks to come back and ask for the first set of documents, which is normally about right. And you know your employer has turned that request around quite quickly within three days. So, effectively I think you’re well on track to getting your case finalized within the typical sort of eight-week time frame. Can take a little bit longer depending on what the Immigration Department make of the case and also how busy they are. But they do have performance timelines that they have to work to, so you can rest assured that the Immigration Department will be working as hard as they can on your application even if it does seem to be taking an inordinate amount of time for your case to be finalized. Just turning to the A and B part of your question, the online inquiry system really shouldn’t be taken too seriously in my opinion. I’ve appended a link to a post that I’ve done about this on a previous occasion. It’s a very, very basic system, it doesn’t tell you very much at all about what’s going on. I appreciate that it’s the only source of consistent information that you can garner. Given that you’ve tried to have an interaction with the department to find out what’s going on, and you haven’t really been able to get any joy out thus far, so I can understand, you know, why it is important to you. But the key thing to appreciate is that whilst I don’t understand having a clear insight into how the Immigration Department of Technology works, having a technology background, it just seems to me that at the moment that an immigration officer is going to mark your case as having been completed to the extent that it’s either been refused or it’s been approved. The moment that the Immigration Department officer does mark that in that way then the technology will be updated, and you’ll get a notification on the system. So, given that you know there isn’t any Immigration Department activity on the weekend, yes it’s reasonable to assume that Sunday and Monday you’re not going to get any joy out of the system in terms of it telling you exactly what you need to know as to where the status of your application is. Bear in mind also that normally the Immigration Department will fax you the approval letter if you have denoted that you’re able to be communicated with via fax. And in my experience very quickly after the department have made the decision to approve you will receive a fax anyway and nine times out of ten if we look to see if that we’ve received a fax in the afternoon the fax of approval in the afternoon and then quickly go online to see if the system has been updated – the system has not yet been updated. So, it’s all very hit and miss nonetheless, so yeah, I wouldn’t rely too heavily on the online system as being the definitive source of information as to where your case presently stands. But turning to point B of your question: this is you know probably your best bet, because once you can speak to the officer they’ll give you an indication as to where they are in the application. They won’t give you any clear nod of the head or a tip of the hat as it were to let you know which way the wind is blowing as regards your eventual outcome. But if you are able to have a whole other conversation with the officer responsible for your case you’ll get a sense of where it is in the process and what kind of sort of timeline you might still have to wait to get near the outcome so that you know where you stand in the application. And again, I’ve covered this previously so what I suggest you do is reference the link that is included in this blog post that will tell you exactly how to go about geeing up your application. But yeah just to recap fifty days isn’t that long, squarely within the envelope; don’t rely on what the website is telling you – the usual Immigration Department are much more efficient when you’re dealing with the with the officer. 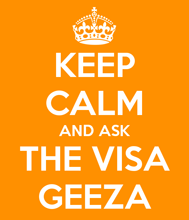 Checking the status of your Hong Kong Employment Visa application on line – yeah right!